Dreamcraft - The Dream Bazaar is now LIVE! Dreamcraft > Main > Announcements > The Dream Bazaar is now LIVE! Full Version: The Dream Bazaar is now LIVE! !THE DREAM BAZAAR IS NOW LIVE! Player shops are shops that are for purchase for members. 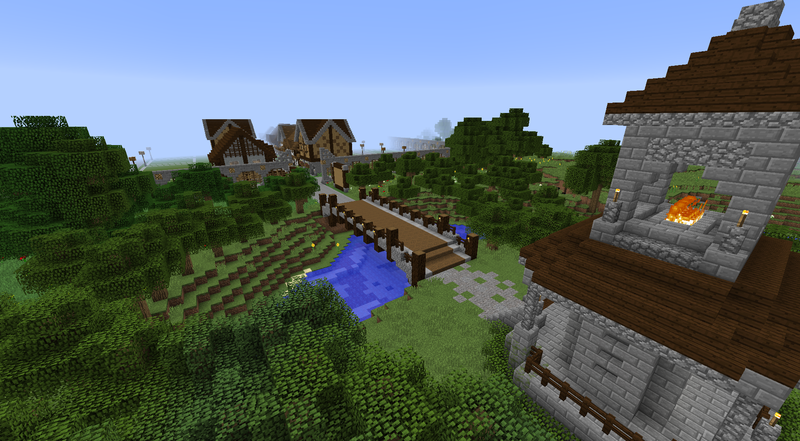 Purchasing a building or plot lets you to make a shop that has a quick connection to spawn, allowing for greater exposure and ease of access to buying and selling items. 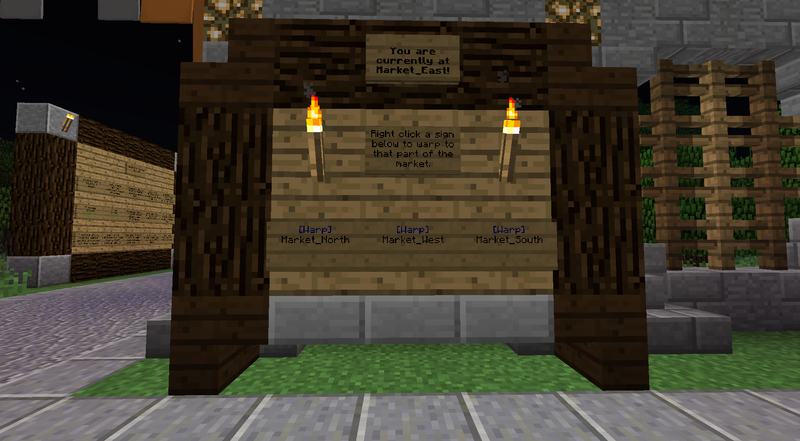 The Dream Bazaar is located northwest of spawn. 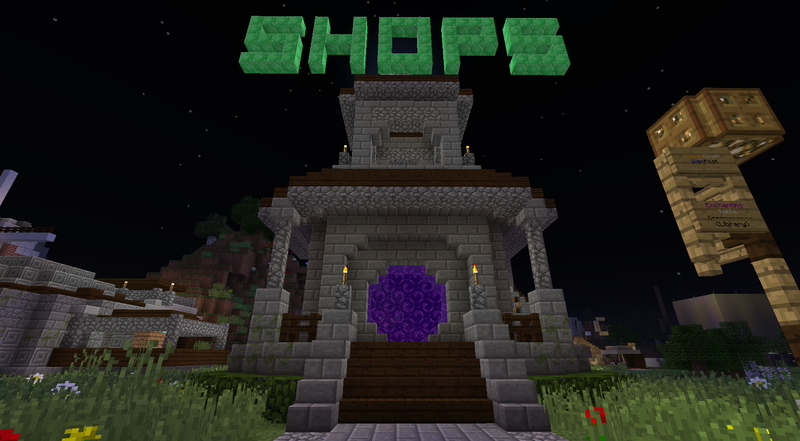 Instead of walking, you can also use the "SHOP" portal in the spawn town. Go out the front of the spawn castle and you will see the portal right in front of you. 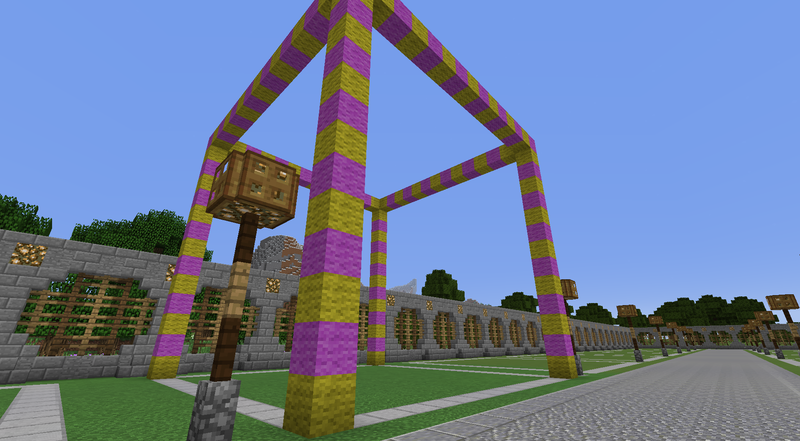 You may run around at your leisure, or you may use the warp network set up around the bazaar! Find one of the boards below and click on the location you wish to go to. There are two types of shops available. PREMADE SHOPS are already built and come in a variety of designs. They have different shapes and dimensions, but they all cost the same and have their store-fronts facing the central street. Players that run these shops can change the interior to their liking, but the exterior must stay relatively untouched. These shops would do well for players who are having trouble thinking of a design to build, don't feel like building a plot(but want the freedom to design the interior! ), or want to be along the central street. SHOP PLOTS are empty plots of prime shop-land that players can freebuild their dream shop on. Players can build whatever they wish so long as it's not offensive and fits within the maximum shop dimensions of 15x15x15. This size includes one block down(the ground) and 14 blocks high. A quick visual of the dimensions can be seen below. 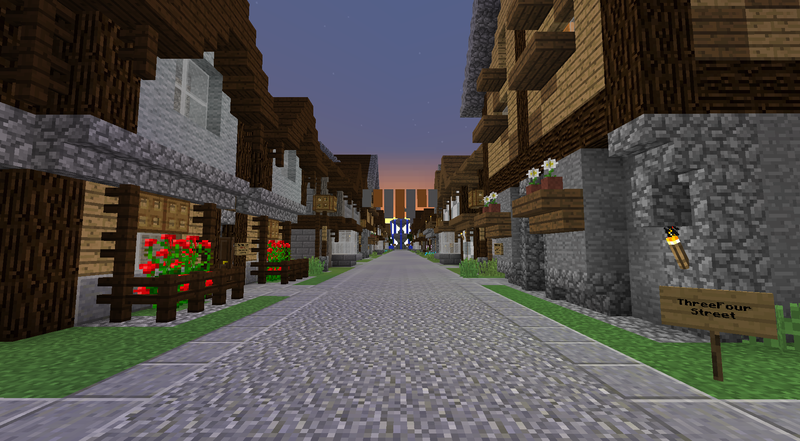 Shop plots are located along the side streets and are a bit cheaper than the premade shops. These shops would work for a player that wants to design their shop(inside and out) and save a little REM. Shop owners are expected to know the requirements for operating a shop. If these requirements are broken repeatedly, the shop owner may lose their ownership of the shop. 1) Nothing offensive. Keep things clean. 2) Stay stocked up. A shop that goes unstocked and inactive for a few weeks will likely lose its ownership. 3) For premade shops, only alter the interior. If your changes drastically alter the outside of the premade building, they will be reverted and you will get a warning. Small changes are fine. - Read the SHOP REQUIREMENTS above! - Find out what type of shop you want, and the area of your choice. - Find the SHOP TICKET BOOTH at the market east entrance. 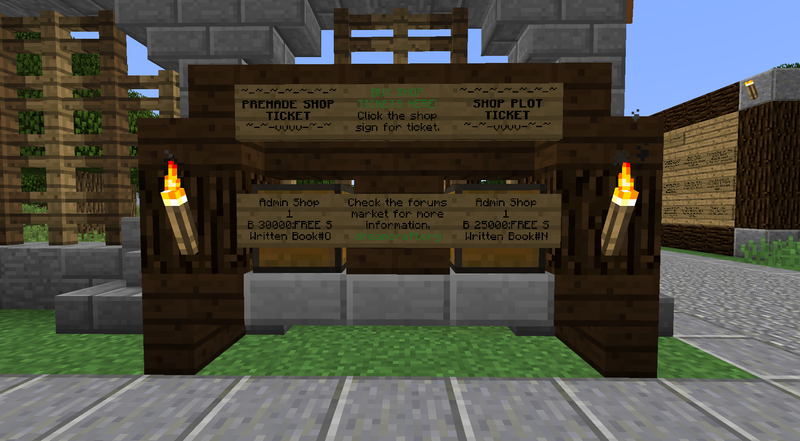 - Buy the shop ticket for the shop area you chose, premade or plot. - Once you have a "ticket", arrange for a staff member to receive your ticket and they will grant you access to the shop area you desire. (08-07-2015, 02:19 PM)Veresy Wrote: [ -> ] About how many chests do the premade shops have space for, min-max? It depends how you place the chestshops. I just placed chests on the ground of the interior of the smallest shop and was able to place 40+ chestshops. If you were to stagger the chests along the walls then you could fit two or three times that, albeit things will look a bit cramped probably. Do staffs get free shops? Staff members absolutely do not get free shops. Are there any places near but away from dream bazaar to make shops that cost free for land? (08-07-2015, 03:49 AM)Lostuser Wrote: [ -> ] Players that run these shops can change the interior to their liking, but the exterior must stay relatively untouched. May I build an attic area in my shop? I have the same shop design as Snowlore and ExceedSoul.